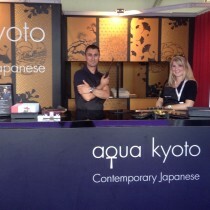 For five days last month, London’s famous Regent’s Park played host once again to Taste of London, the capital’s biggest and best restaurant festival – and we were delighted to take part for the first time, with aqua kyoto. From 17th-21st June, alongside almost forty fellow London restaurants, we set up home in a stand specially designed and built to resemble the restaurant – albeit in miniature! – serving taster-sized dishes from the a la carte menu, prepared by head chef Paul Greening and his team. 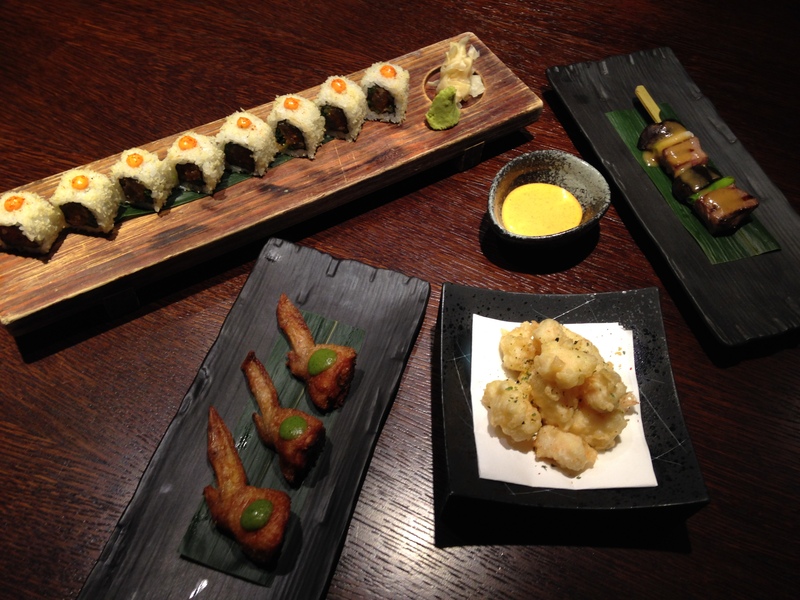 Visitors were able to choose from a menu offering Karaage of stuffed chicken wings; Spicy tuna rolls with ponzu jelly pearls; Rock shrimp tempura with spicy chilli garlic sauce; or our ‘Icon Dish’, Teppan-yaki of Wagyu beef and shiitake mushrooms. 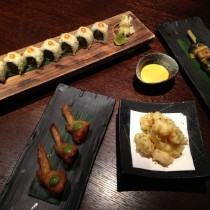 Many visitors simply ordered all four! 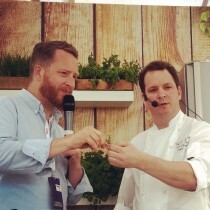 Over the course of the festival Paul’s team deboned over 7000 chicken wings and fried over 300kg of rock shrimp – not to mention shaved a dozen huge black truffles over the skewers of meltingly-tender Wagyu beef! A front-of-house team drawn from the restaurant and our head office were on hand to serve and talk to guests eager to find out more about aqua kyoto. Paul and our bar manager Luca also took part in some of the live demonstrations which are a highlight of Taste of London, each giving a solo demonstration (Paul making his popular Suckling pig with unagi and Japanese root vegetables, Luca his Yuzuanna Bellini) before teaming up for a joint presentation which saw Luca making his 3,000,000¥ cocktail before Paul prepared Wagyu fillet with soya garlic butter. 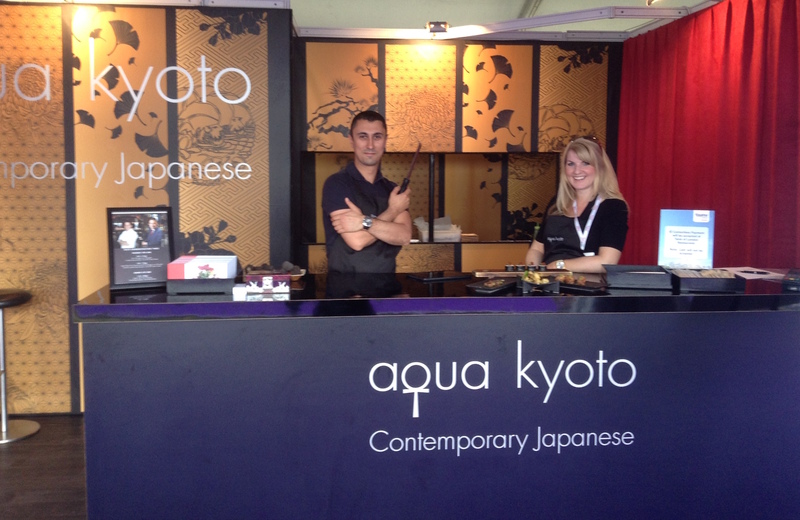 Taste of London was a great opportunity for us to take aqua kyoto to a new audience and to meet thousands of people all as passionate about great food as we are. Here’s to 2016!